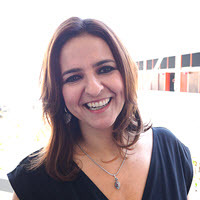 Carla Arena is a designer of learning experiences with the digital in mind, Google Certified Innovator, teacher trainer, online moderator and former Head of the Technologies and Innovation Department at Casa Thomas Jefferson, Brasilia. She is the co-founder of AMPLIFICA, a company that provides learning experiences in ed tech for teachers and educational leaders. Gary Motteram is a Senior Lecturer in Education at the University of Manchester where he teaches on MA programmes focusing on technology supported learning. 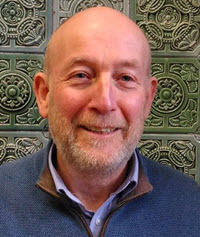 He has published regularly in the field of technology in language learning and language teacher education (Publication Profile: University of Manchester). His most recent completed research project focused on refugee teacher development using mobiles in Jordan (funded by the ESRC) and he is about to start a British Council ELTRA project looking at mobile teacher development in sub-Saharan Africa. 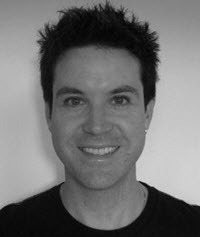 Mark Pegrum is an associate professor in the Faculty of Education at The University of Western Australia, where he specialises in mobile learning and, more broadly, e-learning. His current research focuses on mobile technologies and digital literacies. His recent books include: Brave New Classrooms: Democratic Education and the Internet (co-edited with Joe Lockard; Peter Lang, 2007); From Blogs to Bombs: The Future of Digital Technologies in Education (UWA Publishing, 2009); Digital Literacies (co-authored with Gavin Dudeney & Nicky Hockly; Pearson/Routledge, 2013); and Mobile Learning: Languages, Literacies and Cultures (Palgrave Macmillan, 2014). He currently teaches in Perth, Hong Kong and Singapore, and has given presentations and run seminars on e-learning and m-learning around the world. Further details can be found on his wiki, Digital Learning by Mark Pegrum. 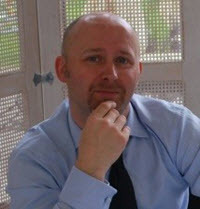 Michael Thomas, Ph.D. is Reader and Associate Professor in Digital Education and Learning at the University of Central Lancashire, UK. He’s previously worked at universities in the UK, Germany and Japan and is author or editor of fifteen books, most dealing with the implications of digitally-mediated communication. He is currently completing a four-volume major work for Bloomsbury entitled Digital Language Learning and Teaching. He is lead series editor of Digital Education and Learning (Palgrave) and Advances in Digital Language Learning and Teaching (Bloomsbury). He is coordinator of the EU CAMELOT Project on machinima in language learning and project partner in the VITAL Project on learning analytics. 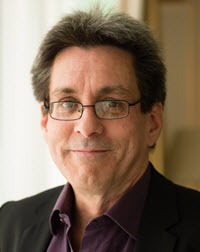 Philip Kerr is a teacher trainer and ELT materials writer, who lives in Vienna. He is the author of a number of ELT coursebooks for adults and young adults, including Straightforward and Inside Out (Macmillan). His Translation and Own-Language Activities (Cambridge University Press) won the ESU / Duke of Edinburgh English Language Book Award and the British Council Award for ELT Writing. He is a consultant for two start-ups that develop vocabulary apps and he blogs about technology and language learning and teaching at Adaptive Learning in ELT. Vicky Saumell is an English teacher and teacher trainer. She holds a degree in Spanish-English Literary and Technical Translation, a Diploma in the Theory and Methodology of TESOL and a degree in Educational Technology. She is particularly interested in the integration of new technologies for language learning. She is currently the author and online tutor of New Learning Environments for the Master’s in ELT at Universidad de La Sabana, Colombia. 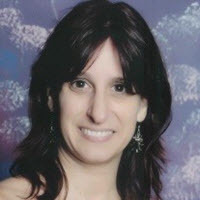 She is the Overall Coordinator of the EFL department at Instituto San Francisco de Asís, Buenos Aires, Argentina. She is a freelance materials writer and presenter. She is a committee member of the IATEFL LTSIG and IATEFL PubsCom.